BCL’s Carolyn Ewers Lewis, Paul Carnell, and Peter Macreadie (in collaboration with Jonathan Sanderman and Jeffrey Baldock of the Commonwealth Scientific and Industrial Organisation’s (CSIRO) Agriculture and Food Flagship) are proud to announce that the results of our Victorian Blue Carbon Stock Assessment are now available in Ecosystems (DOI: 10.1007/s10021-017-0150-z). 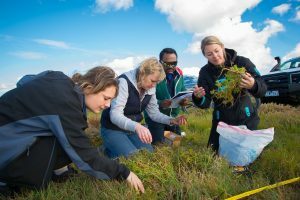 The project, sponsored by the five Victorian coastal Catchment Management Authorities (CMAs) and Parks Victoria, involved a large-scale, comprehensive sampling campaign of blue carbon ecosystem sediments at 96 locations across nearly 2,000 km of coastline. 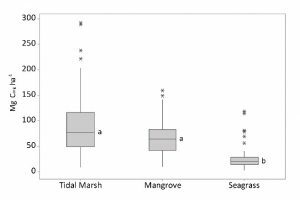 Key findings include total counts and distribution of Victoria’s sediment blue carbon stock in tidal marshes, mangroves, and seagrasses. This dataset also made it possible to estimate how much sediment carbon in Victoria is associated with ecosystems that have been lost (e.g. due to ‘reclamation’ of saltmarshes by blocking off tidal flooding). Above: Comparison of the three blue carbon ecosystems shows saltmarshes and mangroves have higher average carbon stocks than saltmarshes (left), but seagrasses still represent an important proportion of total blue carbon stocks in four of the five CMA regions of Victoria (right). Special thanks to Glenelg Hopkins CMA, Corangamite CMA, Port Phillip and Westernport CMA, West Gippsland CMA, East Gippsland CMA, and Parks Victoria for their support. Alice Gavoille is a visiting student from France. She is currently working towards her Master’s degree at AgroParisTech, an engineering school that specialises in agriculture and life sciences. She is interested in environmental management and engineering with a specific focus on marine and coastal ecosystems in relation to climate change and anthropogenic activities. She is taking the opportunity of a year off before her last year of engineering training to gain some new skills and knowledge in the Blue Carbon Lab. 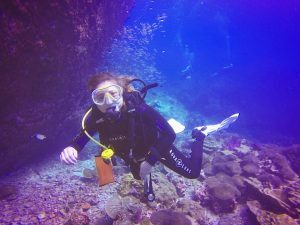 She is working here on the role of blue carbon ecosystems – mangroves, seagrass and saltmarshes- as a nature-based solution against coastal erosion. She is also very enthusiastic to help lab members on fieldwork and to discover the different projects related to carbon sequestration and ecosystem services. Honours students Jami and Anne have begun taking soil cores and harvesting vegetation at their ‘Snake Island’ study sites, with help from interns Sarah and Muvi. Harvesting selected Suaeda and Tecticornia shrubs is necessary for the development of species-specific allometric biomass equations for these common southeast Australian saltmarsh plants. Once established, these biomass equations can then be applied to every shrub of that species within a given a sample plot and Jami intends to trial the new equations in study plots along the Victorian coast in an attempt to estimate vegetative carbon stocks in saltmarsh ecosystems. If successful, these equations will form an integral part of saltmarsh biomass mapping and monitoring, and carbon stock quantification within the Mapping Ocean Wealth project. Lewis, Carolyn J. Ewers, et al. 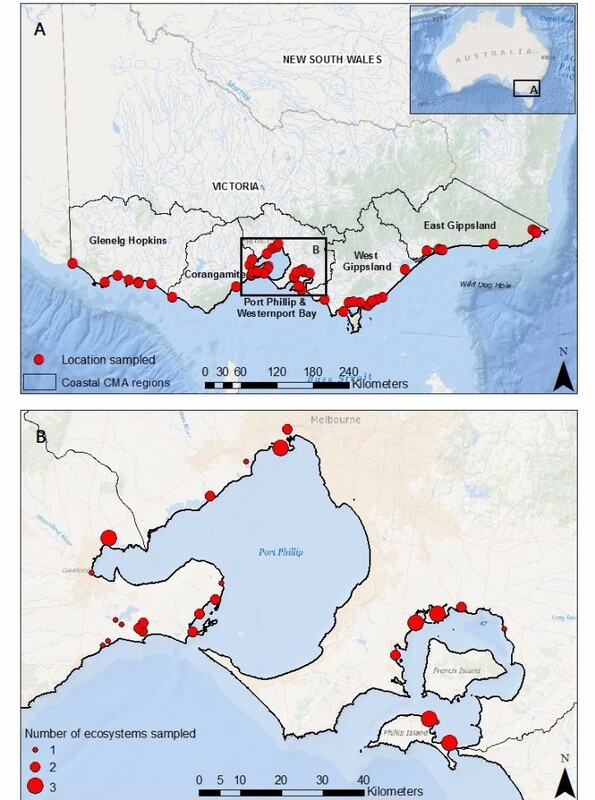 “Variability and Vulnerability of Coastal ‘Blue Carbon’Stocks: A Case Study from Southeast Australia.” Ecosystems (2017): 1-17.